ZURICH (AP) — Chelsea’s lawyers are at FIFA headquarters challenging the club’s one-year transfer ban for breaking youth transfer rules, with a verdict likely next week. FIFA says its appeal committee is hearing the case Thursday. Whatever the verdict, either side can make a further appeal at the Court of Arbitration for Sport. The case should be resolved before the international transfer window opens July 1. 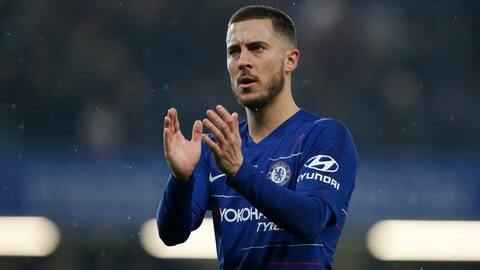 If Chelsea’s ban is upheld, it could still sell players — including Real Madrid target Eden Hazard — but would be barred from fielding new signings until the 2020-21 season. FIFA’s disciplinary committee found Chelsea guilty in February of 29 violations of transfer rules designed to protect minors players from trafficking. The club was also fined 600,000 Swiss francs ($600,000).